Home / anniversary / concert / future sound asia / hardwell / news / Future Sound Asia celebrates 15 years with Hardwell! Future Sound Asia celebrates 15 years with Hardwell! 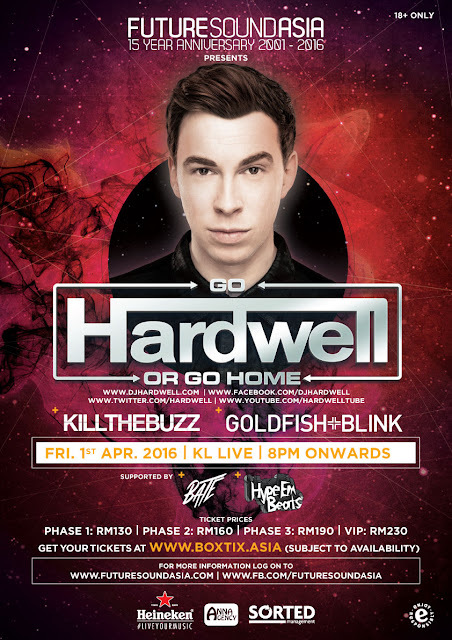 One day before Harwell performs at Jakarta for his world tour this April, the DJ will make a stop at KL Live for Future Sound Asia's "Go Hardwell or Go Home" this 1 April 2016. The Dutch DJ will be returning to the peninsular for Future Sound Asia's 15 year anniversary where he will play for his Malaysian fans before making his scheduled show in Carnaval Beach, Ancol - Jakarta. Seasoned-veteran Robbert van de Corput, better known as Hardwell capped off a 10 year journey when he was crowned World’s #1 DJ in the 2013 for DJ Mag Top 100 DJs Poll, he also won for the following year. This award-winning DJ, producer, musician, label owner has not only helped shape the current state of EDM, but has left a timeless stamp on it. The rise of Hardwell as a young boy from the city of Breda into a ripened international super-heavyweight selling out shows has become an inspiring tale for many. 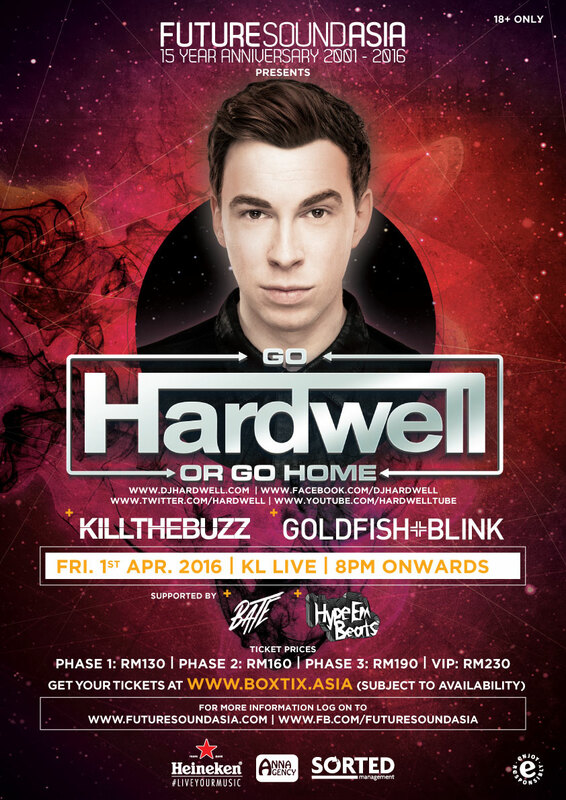 The exclusive ticket launch will be at Rock Corner, The Curve on March 5 & 6, 2016 from 11am – 8pm. Tickets will be sold online on 7 March 2016 at www.boxtix.asia, depending on availability of tickets.